Click the Get Started button below to begin. This process should only take about 10 minutes! This Agreement ("Agreement") is between DNSW, Inc, dba Doctors Supplement Store ("us", "we") and the certified health care provider ("you") engaging in our Service ("Service") as described in this Agreement. You affirm that you are a certified health care provider in the state, province or country in which you practice, and you agree to provide a W-9 and a copy of your license or credentials prior to being issued your first earnings payment. By signing up for the Service, you agree that you have read, understood and agree to the terms and conditions herein. OVERVIEW: We provide product ordering and fulfillment services so your patients can purchase any nutritional supplement within the brands you select. We will provide you with a unique web address through which your patients may place orders after registering using a registration Code we assign to you. U.S. patients may also order toll-free by phone. PATIENT INTERACTION: Patients using our service will be deemed our customers, and we reserve the right to interact with them as needed to provide the Service. However, we do not provide health advice or product/dosage recommendations, we will not send unwanted email (spam) to your patients, and we will not promote products or services you have not recommended unless you have authorized such promotion in advance. ADVERTISED PRICES: You agree not to display your registration code or any product price or offer associated with our Service which is lower than MSRP on any website. You further agree not to promote or attempt to sell product from our Service through any website not directly affiliated with you, such as Amazon or Ebay. SERVICE FEE: Our service fee is calculated as 50% of the gross profit on each sale as defined below. By the 10th of each month* or the first business day thereafter, we will issue payment for your store’s aggregated gross profit from the prior month minus our service fee. * Payments to international providers will be issued by the 15th of the month if they exceed $100 and may be reduced by the amount of international transaction fees if applicable. PRICING AND PAYMENT CALCULATION: Products will be priced at the Manufacturer Suggested Retail Price (MSRP) or if no MSRP is published, then at a price we set. Gross profit is defined as the MSRP minus the wholesale price (of a single item with no volume discounts) and will be reduced by patient coupon usage, subsidized shipping costs (if selected). Shipping and sales tax are not included. Your payment will be reduced for any fraudulent orders, returns, refunds and charge-backs. You may optionally choose to forego some or all of your payment to be passed on as a discount to your patients. COUPONS: Discounts from coupons created at your request will be deducted from your payment. Discounts from coupons issued in the normal course of business, such as a customer service "good will", or the Loyalty Rewards Program, will be split 50/50 between you and us. SHIPPING: Within the U.S. we charge a flat rate of $7.90 per order or free on orders over $150. Express shipping is available for $29.95. International shipping is never free -- costs are based on weight and mail class. We are not responsible for lost, delayed or damaged international shipments. AUTO SHIP: Patients may enroll one or more products to be sent on a recurring basis. After the initial order, patients get 5% off and receive free shipping on all Auto Ship orders. We split the 5% discount with you but we cover the entire cost of shipping. WEBSITE: We retain all rights and control of our website. We will make commercially reasonable efforts to minimize downtime, but we will have no liability if it occurs. TAXES: You are responsible for the payment of all applicable Federal, State, and local income taxes on earnings paid under this Agreement. We will issue a Form 1099 to you, if required in compliance with Federal and State tax laws. By law, we collect and remit sales tax on purchases being shipped to states where it is required. Since we handle it entirely, there is nothing you need to do with regard to sales tax. SERVICE CHANGES: We may change any aspect of the Service at any time. We will notify you 30 days prior to any material changes, and you may either agree to the change or discontinue service. After 30 days, we may withhold payment(s) until you have let us know your choice. TERMINATION OF SERVICE: Either party may terminate this Agreement at any time, for any reason, by giving the other party at least 30 days written notice. You will be paid for sales through the termination date. We may withhold final payment for up to 30 days after the termination date to account for any fraudulent orders, charge-backs, returns, refunds or other adjustments. We reserve the right to offer product discounts to your patients up to 30 days prior to the termination date so that we can sell down inventory acquired exclusively for you. No less than 30 days after notification of termination, your store will be shut down and will no longer be accessible to your patients. INDEMNIFICATION: You agree to indemnify, defend and hold harmless us and our affiliates, officers and employees, from and against any and all liability, claims, losses, damages, injuries or expenses (including reasonable attorney's fees) arising from your patient relationship, including but not limited to your patient treatment protocol. SCOPE, LIABILITY AND JURISDICTION:This Agreement represents the entire Agreement between you and us and supersedes any other verbal or written agreements. Our entire liability to you arising from this Agreement, whether in contract or tort, will not exceed any amounts outstanding and payable to you as set forth in this Agreement. This Agreement is governed by and shall be construed in accordance with the laws of Missouri. The parties submit all their disputes arising out of or in connection with this Agreement to the exclusive jurisdiction of the Courts of Missouri. Your Practice Name and Address will be displayed on your online store and on patient order receipts. If you prefer that this information not be displayed, leave a comment at the end. 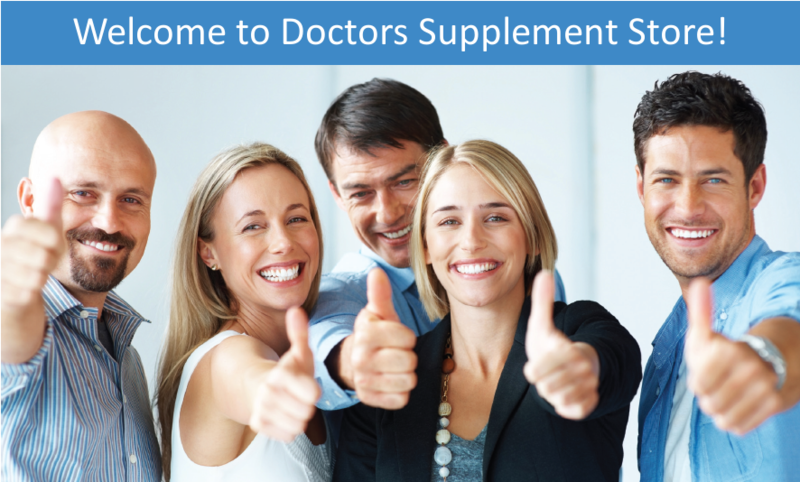 Why did you choose Doctors Supplement Store? Please provide an additional contact, such as an Office Manager, if applicable. I agree to the Terms of Service on the previous page. The information provided in this application is complete and accurate to the best of my knowledge. ** Best for your patients --> Select *only* the brands you know and trust! NOTE: Options can be changed at any time by contacting us. The best way to learn about your store and your Control Panel is to participate in a brief, live online orientation. Indicate a good time or leave blank if you'd prefer to schedule this later. Enter the email address for notifying you when patients register and order. Your patients will receive free shipping on orders over $150 unless you want to pay to reduce the free shipping level. If more than one health care provider at your practice will be selling supplements through our service, and you'd like to track sales by each provider, list the names of the providers as they should appear to patients. A banner will appear everywhere your patients interact with our service, including emails we send. Choose how you would like it to appear. Use the logo or graphics found on my practice website. Use a logo I will upload below. Create a "generic" banner with my name and practice name. Use the Doctors Supplement Store logo. We can create coupon codes for patient discounts. You may specify the dates available, minimum purchase amount, and a percent or dollar discount. We can create coupons for you at any time. Discounts come out of your earnings. NOTE: You don't have to provide the documents below at this time, but we won't send earnings checks until we receive them. To skip this for now, continue to the Submit Signup Form button on the last page. You must click the Submit button to complete your signup! We request a copy of your license or certification to be in compliance with certain manufacturers who exclusively sell to certified health care providers. 1. Take a picture of it with your smart phone and email it to support@dssorders.com. 2. Scan it, save it to your computer and upload it below. 3. Fax it to 877-903-9290. This simple form instructs us how to report your earnings to the IRS, if required. We will need Your Name and SSN -OR- Your Business Name and EIN, but not both. We need a single tax ID to report earnings against when required by the IRS. 4. The FATCA code(s) entered on this form (if any) indicating that I am exempt from FATCA reporting is correct. We need a single tax ID number to report earnings against when required by the IRS. 4. Fax it to 877-903-9290. Where should we send your earnings checks? Last Step -- Just Click Submit! When your form has been submitted, you will see a Thank You message.